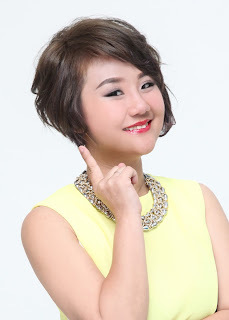 Wendy Pua | Malaysia Chinese Lifestyle Blogger: HyppTV’s exclusive bloggers’ party! Wua Wanna to be Marilyn Monroe – Who doesn’t know the iconic Marilyn look comprised of a white dress with billowing skirt, platinum blonde hair, seductive pout, and high heels. Same goes to me, i have a gold short hair, seductive pout! I wan all the guy are admire me forever as Marilyn Monroe ! not ONLY 10years, not 20years, not even only 30years! is FOREVER! I really daring to wear as according to the theme, from here, Cat Costume Party Part 1, Part2, & Part 3. I wan to be a superstar for a day! and meeting more superstar blogger at the same time!